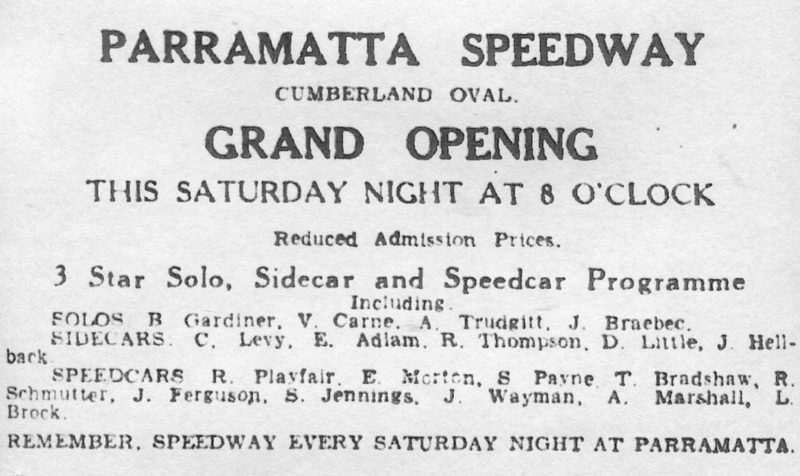 Parramatta's Cumberland Oval Speedway opened on the 6th of Febuary 1930 with motorcycle racing only, the race track was an odd shape oval, 428 yards in length with six turns, varying degrees of banking an a rough bumpy surface, the original width of the track was 18 feet, but when Speedcar racing commenced in the 1940's, the width was increased to thirty feet. The track closed breifly during the 1958 - 1959 season and it is beleived the speedway closed for good in April of 1959. 3 Speedcar drivers lost there lives at the Cumberland oval, Fred Lynam in 1946, Neil Hair in 1953 and Jack Ferguson who crashed in late 1955 but died in early 1956. 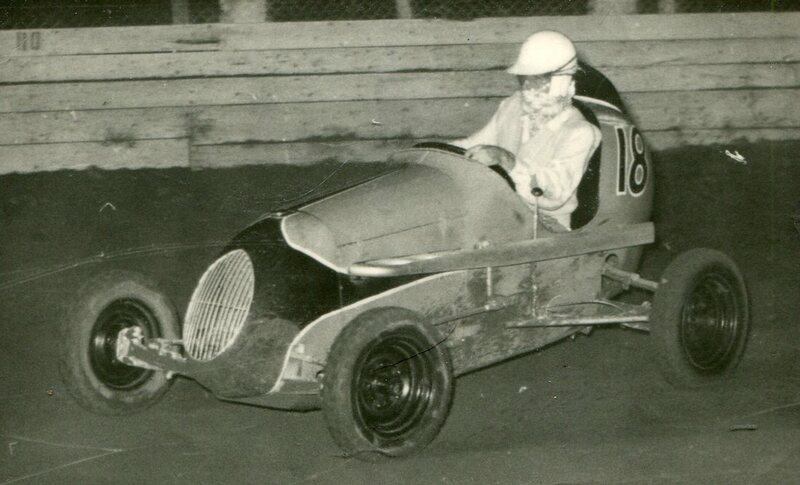 1947 - Kev Gallagher in the 22 car runs inside Ray Revell. Photo: Byron Gunther collection. When I was young i was lucky to see this midget under construction, it was a beautifull piece of work for the time. Eddie Dark acquired the car after Jim left for the states and ran it for many years with a great many drivers, Kev Gallagher was killed in another Dark car number 1 usually driven at the time by Jack Skelton. In the summer season of 1954 - 1955 he set a one lap flying record of 18 seconds. 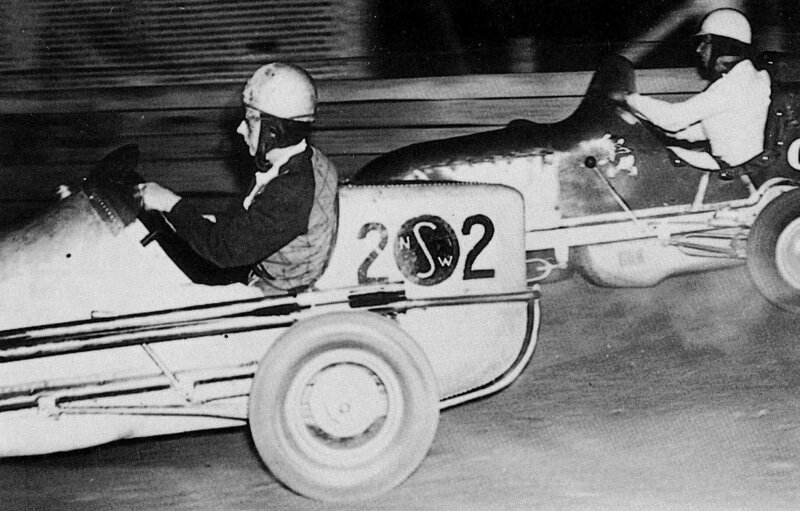 1954 - NSW Speedcar champion Eric Morton with his #22 Chevy 2 roadstar. photo: unknown. During the 1958 - 1959 season Bill one of the top riders of the day would set a new 3 lap ﻿clutch start record at 52.8 seconds, an average of 17.9 seconds per lap. 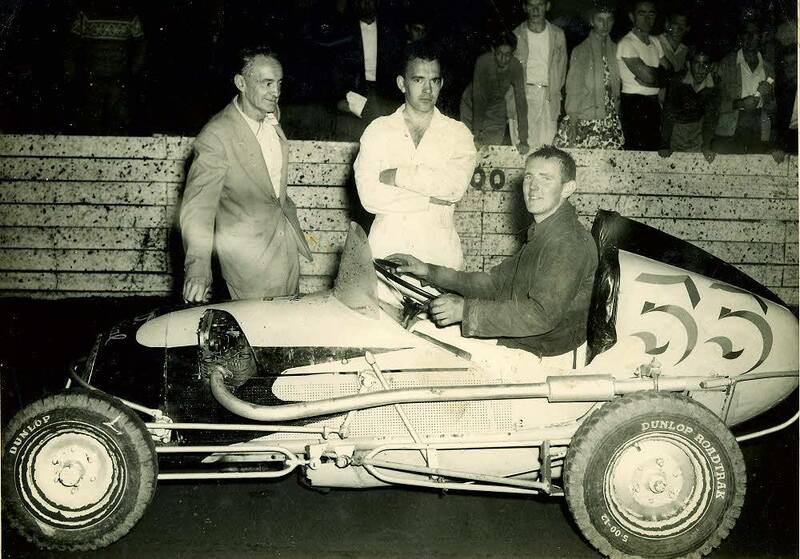 1960 Peter Johnson pictured here in the 55 car at Cumberland Oval, Peter would die after an accident at the Sydney Showgrounds on the 7th of January 1961. Photo: unknown. The once speedway track is now a rugby field and home of the Parramatta Eels.